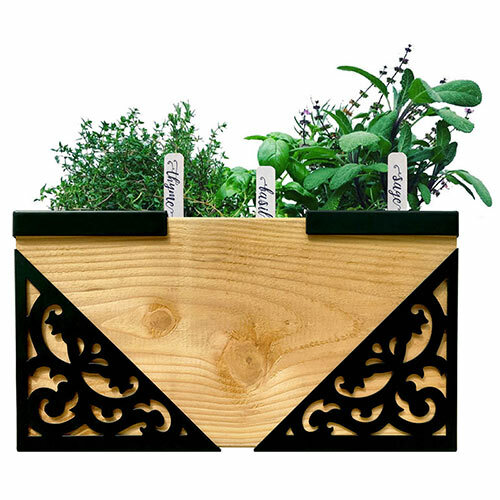 Raised bed corners allow you customize to your exact needs—create a nice long space for your bulb garden to grow or accent with a chic little terrace box. 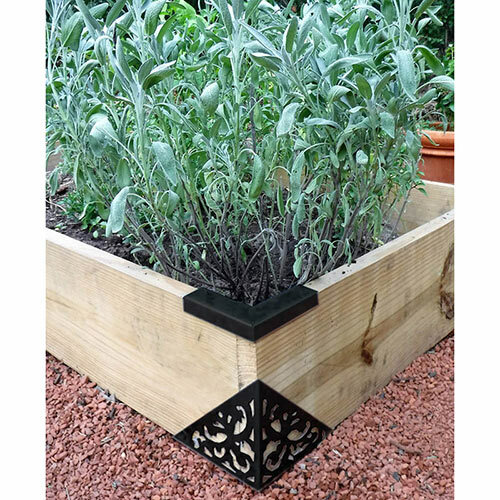 Something that always frustrated us about shopping for them, however, is that they're generally offered in a set of two corners. 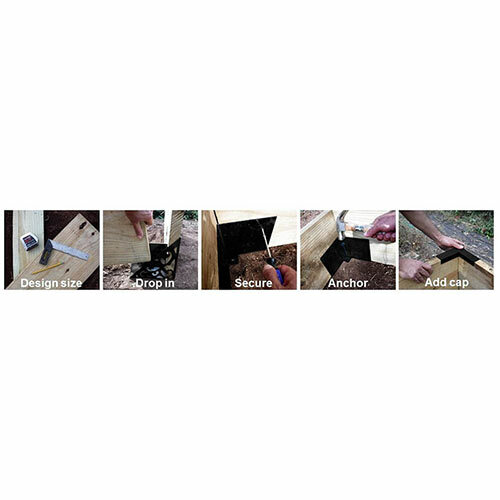 Unless you're building your raised bed into a wall, it's going to need four. 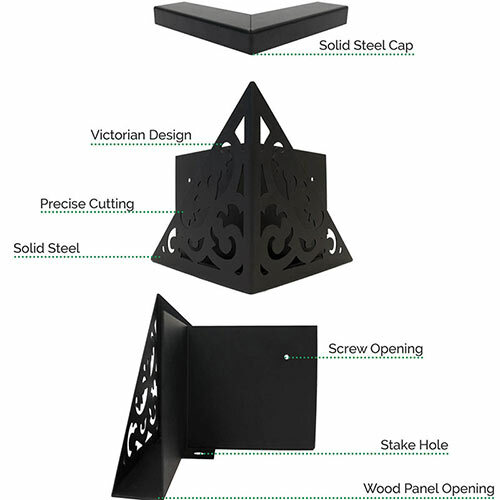 This kit includes four bottom corners for support and style, and four top brackets to tighten up the lumber. 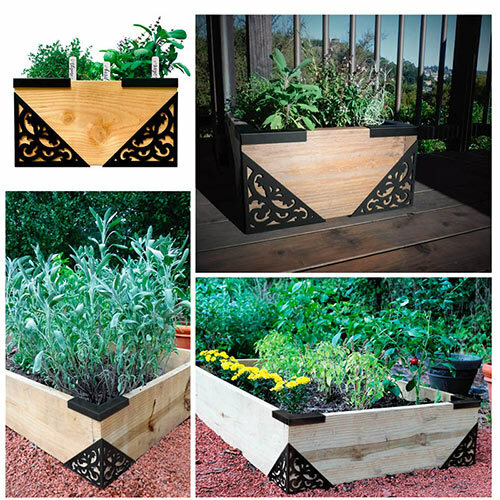 Take one Garden Frame™ Raised Bed Kit and 4 wooden planks, and you've got a stylish feature wherever you'd like. They're made of cold-rolled, solid steel. You'll notice these are heavy metal pieces—though the design is delicate, these are built to last. H9.5"xW10"xL11.5"